Hey guys.. hope you all are having a great day. Today am back with review of another product that I bought in my blue heaven haul. I have love hate relation with the blue heaven brand. I like some of their products but I also hate some of their products. 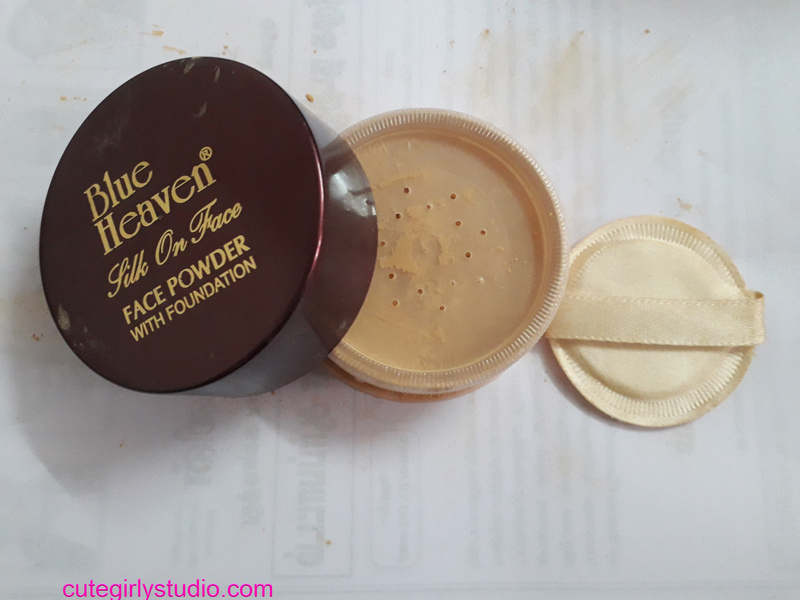 Today am going to review Blue heaven silk on face powder.At first I thought that this product is a copy of lakme rose powder. Read on more to know about the product. Rs 105 for 40 gm of product. You can buy this product from here and here. 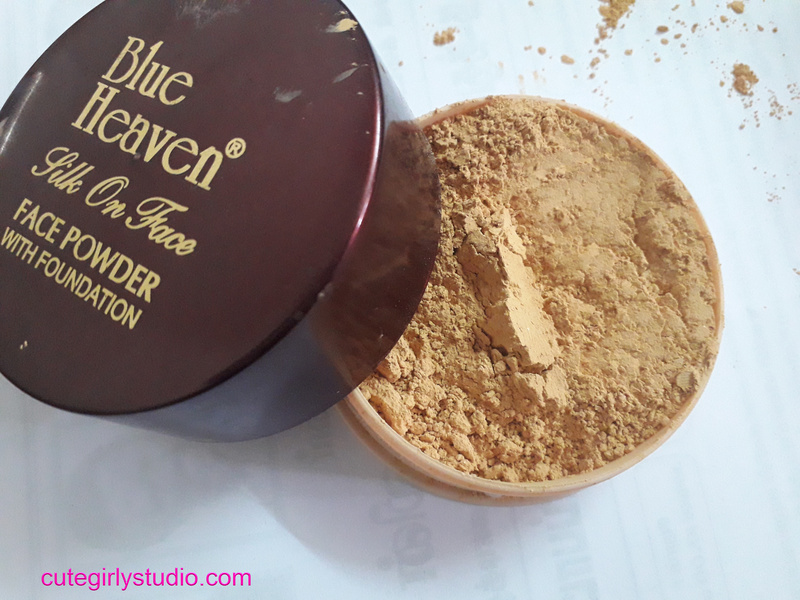 The Blue heaven silk on face powder comes in a messy tub packaging. The tub comes in an outer cardboard that has all necessary information. I don’t find the packaging convenient. Once you open the cap, the powder starts to spill which makes a great mess. 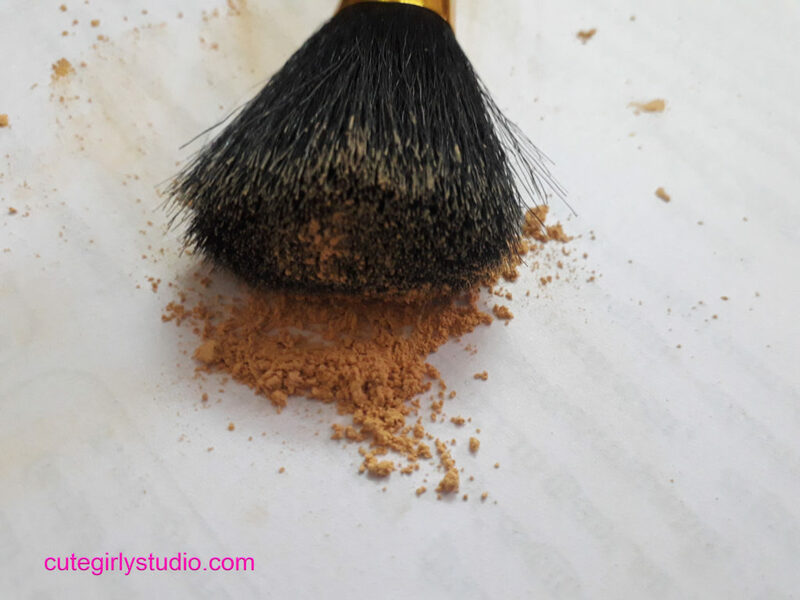 The powder comes with a puff that is of no use. 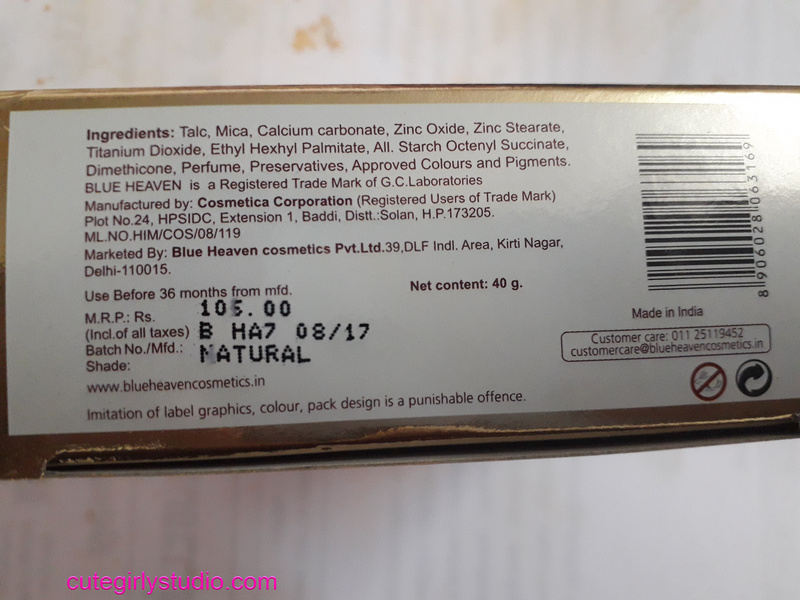 The packaging is similar to Lakme rose powder. Though the tub is sturdy, I don’t like the packaging and I don’t travel with this for sure. It will make a great mess once you open the tub after travelling. Overall the packaging is average. I would rate it 3/5 (3 for sturdy tub). Makes skin smooth upon application. Has smooth and soft texture. Doesn’t control oil for long hours.